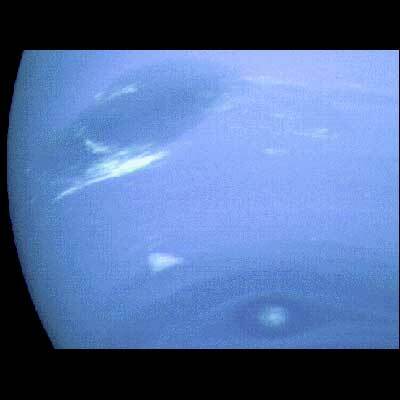 The location of clouds in Neptune's atmosphere was used for testing the accuracy of the Neptunian weather forecasts to aid in the selection of targets for the narrow-angle camera. Three of the four targeted features are visible here, and all three are close to their predicted locations. 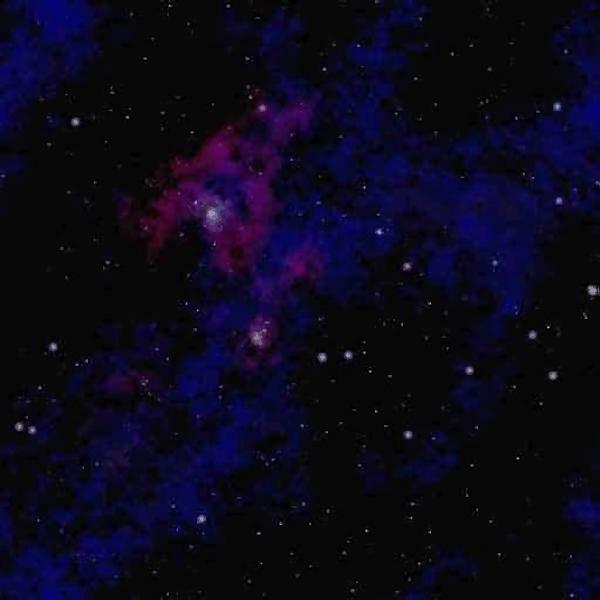 The "Great Dark Spot" with its bright white companion is slightly to the left of center. The small vivid "Scooter" is below and to the left, and "Dark Spot 2" with its shiny core is below Scooter. that they can all be photographed together.